The European Court of Human Rights paid tribute to Judge Giovanni Bonello on his retirement after having sat on the court since its inception on November 1, 1998. ECHR president Jean-Paul Costa said “Vanni” brought “robust independence of spirit and unflagging commitment to the protection of human rights”. He displayed such qualities time and again in numerous separate opinions given in his unique and memorable style, which was “elegant as it is forceful”, using “vocabulary as rich as it is rare”. 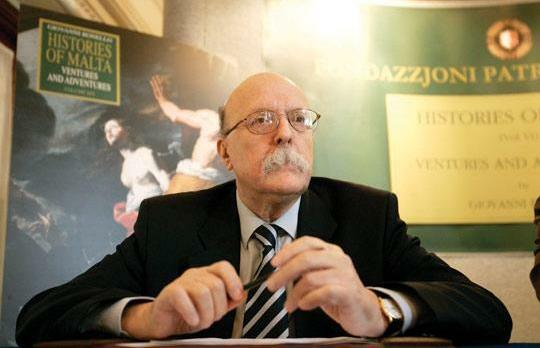 In fact, his opinions led Judge Bonello to attain “near-legendary” status among all those who followed Strasbourg case law, he said. Following Judge Bonello’s end of term, there are 12 judges who have been serving at the ECHR since its beginning, meaning that only a quarter are ancien judges. President Costa said Judge Bonello was a true gentlemen who gained the respect and affection of all those who worked with him, whether they agreed with him or not. He was a marvellous ambassador for his profession and his country. The ECHR president recounted an anecdote about the man he befriended during his long term at the Court. He said he had tried making a modest personal contribution to Judge Bonello’s historical studies about the French occupation of Malta during the Napoleonic era, however, he soon realised his assistance was almost useless because Judge Bonello knew virtually everything there was to know on the subject. Judge Bonello’s will be succeeded by outgoing Chief Justice Vincent De Gaetano.